From September 2 through 9, my wife and I went on an awesome Croatia Epic Week adventure sponsored by the Croatian National Tourist Board. 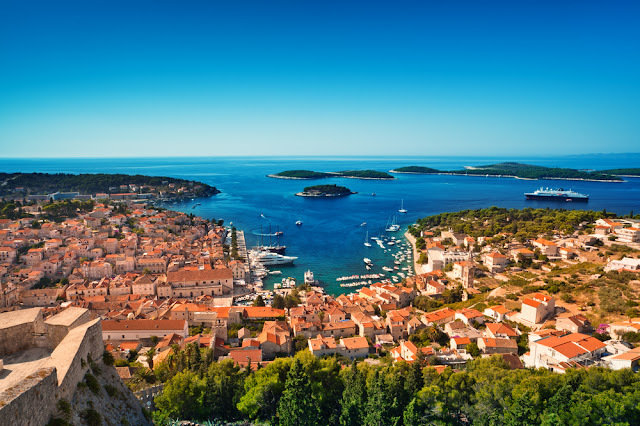 During the course of 8 days, we visited Zagreb, Istria, the Dalmatian coast, and Hvar island. Read below for day-by-day recap and tips for planning your own Croatia Epic Week adventure. 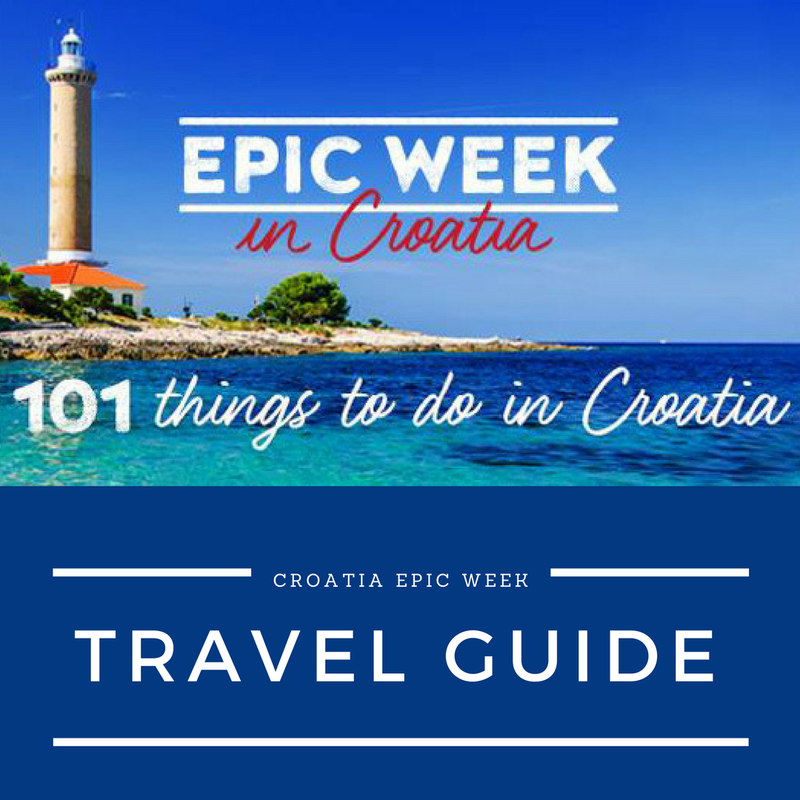 This guide is intended to help you plan your own Epic Week to Croatia based on our Epic Week experience. Croatia Epic Week Google Map with all our recommendations. Driving tips and other useful information. I hope you'll find this guide useful in planning your own unique Epic Week trip! Here's the Epic Week Google Map that you can use for planning your Epic Week in Croatia. In the map, you'll find the accommodations where we stayed during our Croatia Epic Week, attractions and activities, and restaurants and wineries we visited or planned to visit. We didn't get to visit all places in the Epic Week Google Map but I'm still leaving them in the map as a reference for your Croatia Epic Week planning. I've also created a Google Map of the Epic Week road trip route that you can follow. The best way to plan your Epic Week in Croatia is to create a Google Map. Option 1: Go to Google My Maps to easily create a custom map with all the places you want to visit. You can use the Croatia Epic Week Google Map as the template and then edit destinations and places to suit your interests. Option 2: Alternatively, you can copy the Croatia Epic Week Google Map and then overlay it in your Google Maps as you're traveling in Croatia. To overlay the map, go to Google Maps on your mobile device, click on menu, then "Your Places" and select the Croatia Epic Week Map in "Maps." After a long trip from Washington DC, we arrived at the Zagreb Airport. It's been many years since we visited the Zagreb airport. When visiting Croatia, we usually fly to Venice, Trieste, or Pula. We're glad we had a chance to visit the new Zagreb Airport as it has undergone a major transformation. The airport is completely renovated and a delight to visit (see 360 image below taken with ion360). We rented a car with Uni-Rent. They have offices throughout Croatia, including Dubrovnik airport, where we dropped off the car at the end of the trip. We rented an Infinity Q30 which was a a delight to drive. In Zagreb, we stayed at the historic Zagreb Palace Hotel. The hotel had designated parking places which made parking a breeze. The hotel is minutes from city center and across from Park Zrinjevac. The dinner and breakfast at the hotel were delicious. There's a lot to do in Zagreb. We had planned to visit the Archaeological Museum and Museum of Broken Relationships but didn't get a chance since we arrived late and were tired from the long flight. Instead, we went for a refreshing walk through Park Zrinjevac and city center. Archaeological Museum: Large selection of artifacts from prehistoric, Roman, and Greek times. Museum of Broken Relationships: Leave a note in this museum with personal objects from former lovers. Museum of Illusions: You won't believe what you'll see. Tunnel Gric: Underground tunnel connecting different parts of Zagreb. Botanical Garden: Lovely botanical jewel just 10 minutes from city center. Park Maksimir: 200-year-old park not far from city center; garden architecture masterpiece. Zagreb Zoo: The largest zoo in Croatia. For coffee and drinks, go to Johann Franck, a trendy cafe and bar in a historical building. To eat, check out Vinodol, Xato, and Dubravkin Put. You can also take a walking food tour of Zagreb with Sinful Spoonful, Zagreb Bites, and Zagreb Food Tours. Plan your trip with Google Maps. Add places where you'll stay, attractions, restaurants, and other places you'd like to visit. You can then use this map as your guide while in Croatia. To get best car rates, reserve online in advance. If you need to rent a car with an automatic transmission, make arrangements ahead. Although prices have somewhat dropped, the automatic cars are still more expensive than manual transmission cars. For peace of mind, consider buying car insurance so you don't have to worry about any pesky scratches or other accidents while on the road. Your credit card company may also waive the deductible but check the terms with them first. If you don't get the additional insurance, take pictures of the car and note any damages on the rental agreement. Also ask for a free paper map of Croatia that you can use to position yourself during your road trip. To save money with gas, get a diesel or hybrid car. Make sure you pump the right type of gas when fueling. Call hotels ahead to check on the parking availability and fees. Most public parking places in Croatia require coins for payment. Make change and keep it handy in the car to pay for parking during your road trip. Every major town in Croatia has a local tourist board office that you can visit to get a map of the town and other tourist brochures. The staff at the office are helpful and can provide additional local tips. Each office has a website (example: Zagreb Tourist Board) with helpful resources and contact information. The drive from Zagreb to Opatija is about 175 km and takes about 2 hrs. The highways in Croatia are great and there's hardly any traffic outside of June, July, and August. Highways have tolls which you can pay in cash or with your credit card. If you like to plan your expenses ahead, you can use the HAK website which shows all highway tolls and also provides useful traffic information. If you plan to include Istria in your Croatia Epic Week, set aside at least 3 days for Istria since there's so much to see and do in Istria. You can pick Rovinj or another place as your base and then take different trips throughout Istria exploring your places and activities of interest. During our Croatia Epic Week trip, we made quick stops at Opatija, Umag, and Novigrad. To get to Umag, we drove on the Y highway which is quicker than driving through local roads. If you have the time, drive through the local roads instead and make stops in small towns along the way. All three town have beautiful beaches, promenades, and city centers. If you're a foodie, check out Istria Gourmet Food Tours offered in Umag, Novigrad, Porec, Rovinj, and Pula. For coffee in Opatija, go to Milenij Hotel. For food, visit Plavi Podrum, Bevanda Restaurant, or Restaurant Ruzmarin. For coffee in Umag, go to Caffe Tondo. For food, visit Konoba Buscina, Restaurant Toni, or Restaurant Umag. For wine, go to ItIstria. For coffee in Novigrad, go to Vitriol. For food, visit Damir & Ornella, Gatto Nero, or Al Mare. Istria is the Croatian Tuscany - set at least 3 days to explore Istria. If you're not in a rush, drive through local roads of Istria. If time is scarce, make use of the Y highway to save time. The drive from Umag to Zadar is almost 400 km and takes about 4 hours. Fastest route is on the highway, heading east toward Karlovac and then south to Zadar. In Zadar, we stayed at Hotel Kolovare, just outside the old town. The walk to old town was pleasant but I'd recommend you find a room inside the old town so you can more fully enjoy the historical Zadar experience. Some of our favorite experiences in Zadar were the historical old town, nightlife and bars, live music on the streets, the lively vibe of Zadar, and inexpensive mixed drinks compared to other parts of Croatia. And, of course, the Zadar gems: Zadar town walls (UNESCO site), sea organ and greeting to the sun. Hotel Bastion has a great restaurant. Visit Restaurant Pet Bunara for traditional cuisine. Gelateria Eva: Best ice cream in Zadar. Parking in city centers is unavailable or difficult to find and expensive. Check with your hotel whether they having parking available on site. When moving between towns, it's best to change towns early in the morning when the traffic is lite. We left Zadar early in the morning to head out to Krka National Park. The drive was about 75 km and we got there in less than an hour. As you drive through Skradin on your way to Krka, you'll see lots of signs to leave your car there and take a bus to Krka - ignore the parking signs and keep driving to the park. There was plenty of free parking at the park during this time of the year but the park gets crowded during July and August. The Krka National Park was amazing! A total area of 109 km2 of the Krka river and its basin was proclaimed as the Krka National Park in 1985. You'll need about 3 hours to experience the park. Bring swimwear as you can go swimming in the park. After the park, we were debating whether to go for lunch to Bibich Winery or Pelegrini Restaurant. My wife won and we headed out to Pelegrini. Situated on top of a historical building next to the St. James Cathedral, this restaurant was one of the best restaurants we visited in our lifetimes. We each took 3 tasting courses to indulge. In Sibenik, we stayed at the lovely Hotel Panorama. Located just before the Sibenik bridge, it offered beautiful views of the bridge and old town Sibenik, and a nice pool with the view of both the bridge and old town. In the evening, we decided to go visit Primosten, a lovely town about 45 minutes from Sibenik. This was the place I remember visiting as a child with family and was glad to see it again many years later. Krka National Park: One of Croatia's most beautiful national parks. St. James Cathedral: Famous cathedral made of stone. St. Nicholas Fortress: Fortress was added to UNESCO heritage list in 2017. Sail to Kornati Islands, a cluster of more than 140 islands. Bungee jumping off Sibenik Bridge. Drazen Petrovic Memorial: Playground of famous Croatian basketball player. Primosten, a beautiful town nearby. Bibich Winery near Krka National Park. We found that the Google Maps GPS was much more reliable than the car GPS. For example, when we headed out to the Krka National Park, the car GPS lead us to a dead end. Using the Google Maps GPS, we found the park entrance without trouble. Be careful when driving during night as most roads in Croatia are two-way roads. If leaving a hotel early in the morning, ask the hotel to prepare a breakfast-to-go to take on the road. We had to leave Sibenik early in the morning to meet with Dino, our Split tour guide. The drive from Sibenik to Split was about 90 minutes and we were lucky not to get stuck in any major traffic in Split. We dropped off our bags at the Cornaro Hotel and grabbed a quick coffee before heading out with Dino. Cornaro is a beautiful hotel in heart of old town Split. It was recently renovated and it was just delightful. The view from the rooftop bar (and spa) was amazing! Our first stop with Dino was Nadalina Chocolate factory which holds the Guinness Book world record for largest chocolate ever made. As chocolate lovers, we loved the chocolate-making tour. We also got to see a chocolate CD player with music recorded by the chocolate factory founder! Our next stop was Solin, a historical site with ancient ruins, where we got see the remnants of the Roman Amphitheater from the 2nd century. The fights in this arena could be watched by 17,000 spectators. Rich in history, Solin is a great historical site worth visiting when in Split. Next stop was at Kairos Vina, a winery with amazing views of Trogir, Split, islands, and the Adriatic. We walked around taking in the wonderful views of the vineyards with a backdrop of the sea, followed by wine tasting. Kairos Zinfandel was outstanding. The winery is on a steep ride up the hill but it's a safe drive and well worth visiting. By now, we were getting hungry but decided to make a quick stop at the Klis Castle from 5th century AD made famous by the Game of Thrones (GOT). 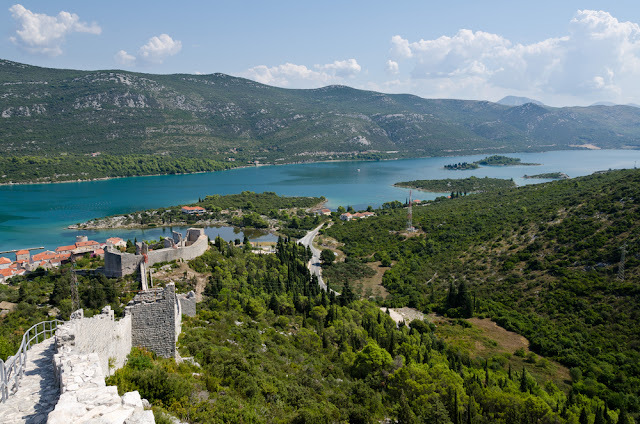 It's a must-see fortress for GOT fans and for amazing views of Split. Our last stop before heading back to old town was Stella Croatica where we got to see a replica of an old Dalmatian village in the Ethno Park Dalmatia tour. If you want to get a good sense of life in Dalmatia in 1950s, this is the place to visit. The Ethno Park features stone houses, architecture, furniture, furnishings, household items, and tools from the old days. We sat down for a large and delicious traditional Dalmatian lunch with Dalmatian appetizers, homemade soup, a traditional main dish, seasonal salad, and homemade dessert. We then took a tour of the Stella Croatica shop where they make all natural delicious treats by hand. The fig jam, orange peels, dried fig cake, and olive tapenade were the best we've ever tasted. They also have many other great products that make great souvenirs to take with you. It was a long, fun, day already but we still had the entire evening ahead to look forward to. We said goodbye to Dino, stopped by the hotel to check in, and off we were for a fun-filled night in the historical and lively Split. Diocletian Palace: Ruins of the Roman Emperor Diocletian's Palace date back to the 3rd century. Solin Amphitheater: Huge Roman structure from 2nd century used for gladiator fights and games. Nadalina Chocolate Factory: See how chocolate is made. Stella Croatica: Handmade, natural, and delicious goods. Also see replica of traditional Dalmatian town from 1950s. Marjan Park and Beaches: Marjan is huge nature park with ancient stone churches and beaches. Klis Fortress: Large fortress from 5th century that was featured in Game of Thrones. Kairos Vina: Winery with amazing view of Split and Trogir and delicious wine. Three popular restaurants for traditional food are Perivoj, O'Zlata, and Villa Spiza. For a sampling of various restaurants, try the Eat in Split food tours and Gourmet Croatia. If you have the time and money, consider getting a tour guide for the town you're visiting. The experience and insider-knowledge makes such a tour worthwhile. Plan to start your days early since there's so much to see and do in Croatia. Before heading out with a Jadrolinija car ferry to Hvar Island, we went on a zipline adventure in Omis. Omis is about an hour away from Split. We arrived in Omis around 9 am, checked in at the office, and then headed out to the zipline locations as a group in the van. The Omis zipline consists of 8 zipline wires measuring a total 2100 m in length. The longest wire is 700 m and the highest wire is 150 m. We started with a "baby zipline" to train going down the zipline. Staff were fun and helpful, making the zipline experience enjoyable. The views were amazing. The zipline speeds and zipline heights kept the adrenaline flowing. The zipline tour experience lasted about 3 hours. This was by far the best zipline experience we ever had. Before heading back to the Split ferry, we stayed a bit longer in Omis. It's a beautiful old town with plenty of shops (with souvenir prices much cheaper than in Split), restaurants, and cafes. We had purchased our Jadrolinija car ferry tickets (Split - Stari Grad) the night before so we could drive straight to the ferry departure point. The ferry left on time and it took about 2 hours to get from Split to Stari Grad in Hvar. There were plenty of seats, nice breeze, and gorgeous views. From Stari Grad, we drove for another 45 minutes to get to old town Hvar. The road was curvy but safe, with beautiful views along the road. We stayed at Amfora, a beautiful beach resort in old town Hvar. The hotel was less than a 10 minute walk from the center of old town Hvar with a pedestrian walkway along the sea. It had a nice pool and a dining hall with amazing views. After our dinner, we went for a night walk through the old town. I had saved a special cigar just for this special night at Hvar island. After midnight, we boarded a small boat for a ride to the Carpe Diem Beach bar on a nearby island, about 5 minutes by boat. The entire island was a party bar! We had a few drinks and headed back to the hotel, way before their 4 am closing time. For the first time in the entire week, we slept until 8 am the next day. We had the entire day to explore the island so it was a time luxury we could afford. During the all-day tour of Hvar, we visited Dubovi Dol, Sveta Nedilja, and Stari Grad, and headed out to Jelsa for lunch. In the evening, we explored the narrow streets of old town Hvar and the many unique restaurants dispersed throughout the old town. Hvar is truly a gem you must visit. Carpe Diem Beach: Perfect place to hang out with friends, enjoy nature, music and food. Dubovica Beach: Most famous Hvar beach with the clearest aquamarine blue water. Pakleni Islands: Hire a boat to visit Hell Islands. Spanish Fortress: Provides a superb view of the town and its surroundings. Sveta Nedelja: Village on the south side of the Hvar island known for wine and calm atmosphere. Tvrdalj Castle: Magnificent castle built in 16th century. Stari Grad Museum: Learn about the oldest settlement in Croatia. Wine Tasting: There are lot of great wineries on Hvar. Dubokovic and Turan in Jelsa. Jurin Podrum and Antika in Stari Grad. Kod Kapetana and Gariful in Hvar old town. Buy car ferry tickets in advance. Get to the car ferry at least one hour before departure time. Once the ferry gets filled, the doors close and you have to wait for the next ferry. Drive carefully on the roads, especially the curved roads that make it difficult to see far. We left early on Staurday morning to catch the 8 am Jadrolinija ferry out of Sucuraj to Drvenik. The road from Hvar to Sucuraj was only 75 km long but it took us 90 minutes to get there. Even though we arrived an hour early, the ferry was small (much smaller than the ferry in Split) and was quickly filled by the cars that were waiting in line before us. We waited for the next ferry for over an hour and got to Drvenik in 30 minutes. If you miss the ferry like we did, go to Gusarksa Luka where you can grab good coffee and food while still keeping an eye on the incoming ferry. The drive from Drvenik to Dubrovnik is 130 km and it took us about 4 hours to get there. 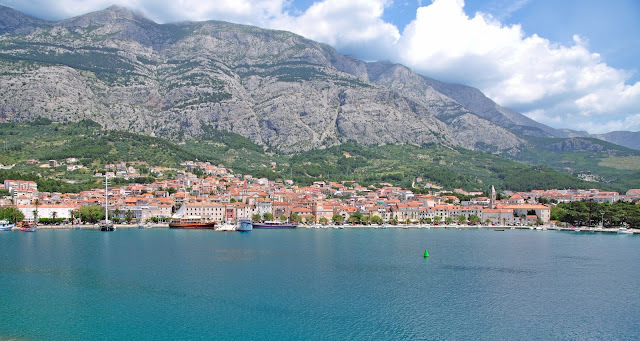 If you have time, drive north to Makarska, a picturesque town with mountains in the background. You can also stop in Gradac, the town with the longest beach in Croatia. And if you have a day, consider visiting Ston and Mali Ston (famous for oysters) and stay in Peljesac Peninsula that's famous for its many wineries. In Dubrovnik, we stayed at the Hotel Dubrovnik Palace. This hotel had huge rooms and amazing views. Although not in old town Dubrovnik, the public bus stopped at the hotel parking. The bus ran every few minutes and took about 10 minutes to old town. In Dubrovnik, we walked through old town and took the Dubrovnik cable car for a bird's eye view of Dubrovnik. We also visited Game of Thrones locations, including King's Landing and Walk of Shame. There's so much more to do in Dubrovnik than what we did in one day. If you have time, set aside at least three days to fully explore Dubrovnik and all it has to offer. We left the hotel very early in the morning to get to the airport by 5 am. The car rental drop off was easy to find and the check-in was fast. Ancient City Walls: Explore ancient walls and preserved ancient Old City. Mount Srd: Take a cable car and enjoy in a maginificent view from the mountain. Stradun: This main street of the Old City is home to many ancient buildings. Fort Lovrijenac: Amazing defense fort from the Middle Ages. City Harbor: Small harbor continuing to preserve medieval dimensions. Minceta Fortress: Most impressive of all the fortifications along Dubrovnik's city walls. Pile Gate: Beautiful entrance to the Old City. Sveti Jakov Beach: Beautiful and quiet beach only 30 minutes from old town. Restaurant Panorama has an amazing view. Restaurant 360 and Restaurant Dubrovnik are popular in old town. Pantarul serves great traditional meals. Food tours: Dubrovnik Sights & Bites, Dubrovnik Food Story, and Dubrovnik Food Tours. Be careful when driving through narrow streets especially when driving a large car. We almost got stuck between two houses as we were following a WV Golf. Don't drive to Dubrovnik old town. You're likely not to find parking and, even if you do, it's the most expensive parking in Croatia. Leave for the airport from old town 2 hours from departure time. The drive is only 30 mins but you might lose a few minutes (as we did) getting out of old town and few minutes dropping off the rental car. 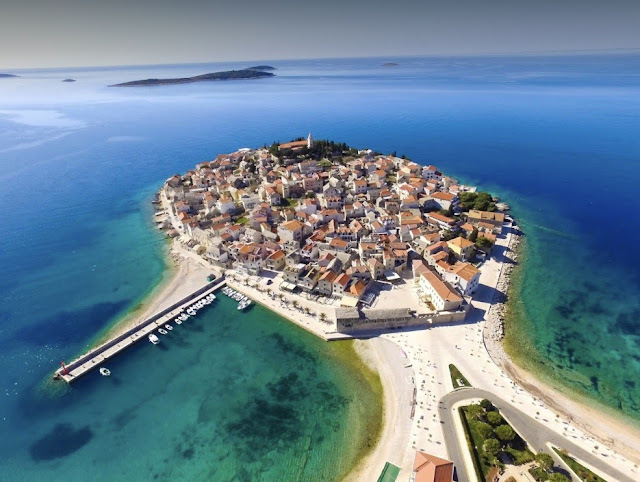 If you have more than a week for your Croatia Epic Week, or want to substitute some of the places from this Epic Week itinerary, take a look at the Adriatic Road Trip Google Map below which highlights best of Croatia. Istria: Porec, Rovinj, Pula, Brijuni Islands, and Motovun. Kvarner: Rijeka, Cres Island, and Krk Island. Dalmatia: Peljesac Peninsula, Biograd na Moru, Trogir, Makarska, Cavtat, Korcula Island, Mljet Island, Vis Island, and Kornati Islands. Undoubtedly, the most difficult part of your trip planning will be to select your Epic Week itinerary. I'd be happy to help - just ask your questions in comments below, post to Croatia Local Guides Community (over 300 members), or email me directly. A road trip through Croatia is spectacular. Beautiful destinations, scenic drives, and unique experiences throughout the regions are just three reasons why you should take a road trip through Croatia. The busiest months in Croatia are July and August. My favorite months to travel to Croatia are June and September when it's less congested, prices drop, and the beach water is still warm for swimming. For an in-depth guide to road tripping in Croatia, read my previous Croatia road trip travel guide blog post. How much does an epic week cost? As with any other trip, cost depends on trip duration, itinerary, and activities. Book in advance for air, hotels, car rental, and activities. Depart and arrive from same locations. Pick up and return car at the same place. Stay in private rooms, not hotels. Connect with locals about cheap eats. 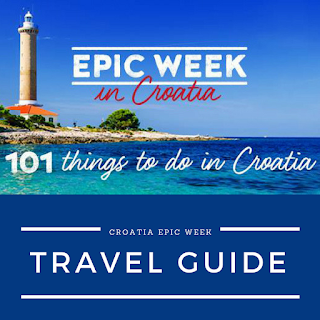 I hope you find this guide helpful in planning you own Croatia Epic Week! Share your experience and ask questions in comments below. Thank you so much for this site! I'm planning to go to croatia this year :D My horoscope predicts a great trip, too :) So, I definitely have to visit the chocolate fabric! I don't know if I'll make it to Istria, or is it a must-see? Zadar, Split, Dubrovnik, Krka Nationalpark and Sibenik are pinned in my map already. Maybe I visit Plitvice Lakes too, is it worth it? If you visit Krka, you can skip Plitvice, especially since it gets really crowded. Do Istria instead if you can.